Savoca, inserted in the circuit of the most beautiful Italian villages, called also the city of seven faces and seven views for its location, is capable to engrave its beauty in your emotions using its wonderful views and ancient monuments joined to the calm atmosphere which is the main feature of this site. Here will make our first stop, after our departure from Messina, giving you the opportunity to visit the places selected by Francis Ford Coppola for the scenes of the marriage between Michael Corleone and Apollonia. 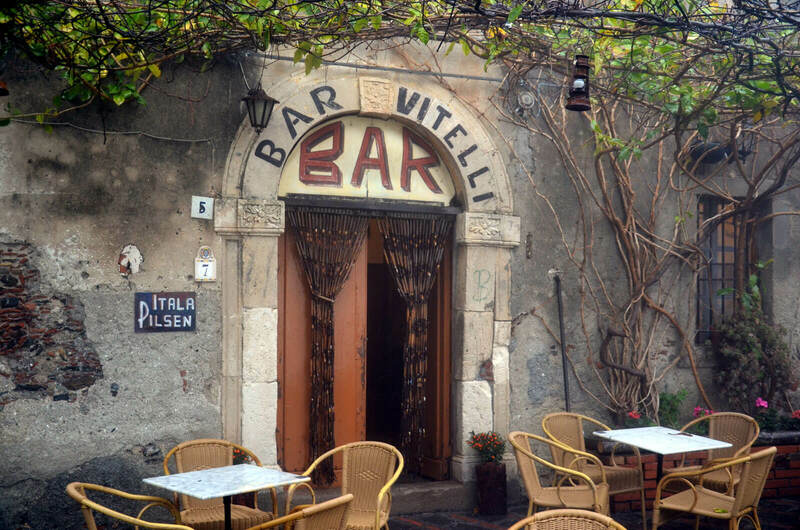 Have a relaxed walk with our guide on the streets of Savoca, discover the Bar Vitelli and the Church of San Nicolò – that were chosen by the famous director for important scenes of his “The Godfather” saga. 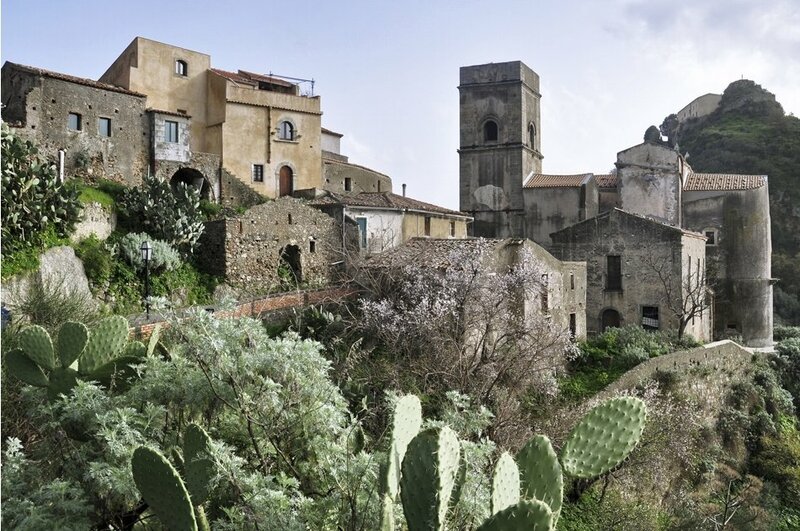 You will be enchanted by the history and traditions of this ancient village immersed in the middle of the nature, related also to its name as Savoca comes from the elderberry plant-sambuco as is called in Italian. Do not leave this ancient location without tasting a lemon granita at Bar Vitelli and the local bread made with dried tomatoes or olives made by the people of the area. 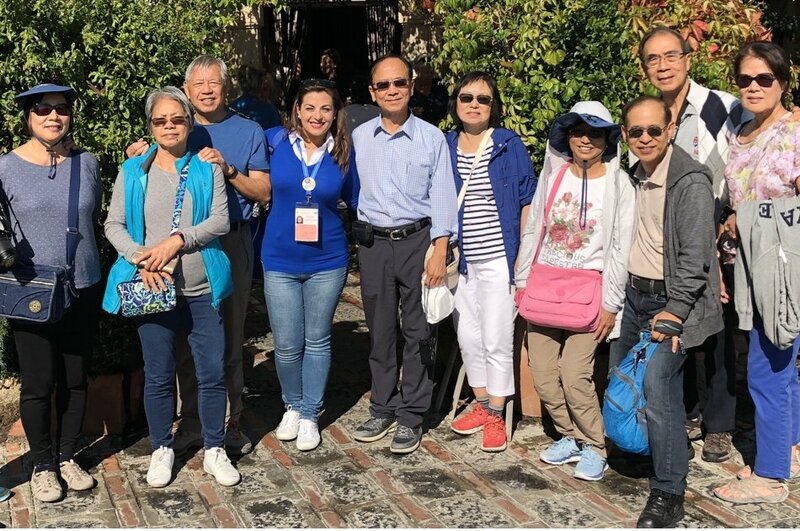 Our experience will continue then with the visit of Forza D’Agro, a small village which was also selected for a few scenes of all three parts of “The Godfather” saga. 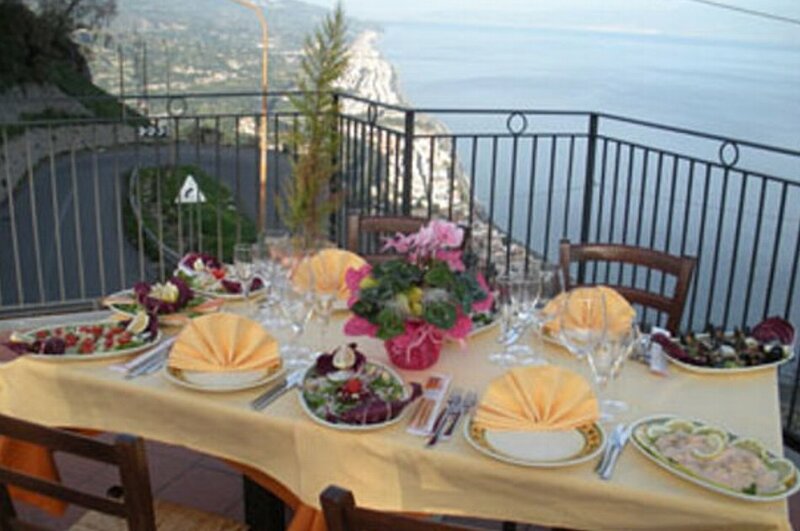 Here, after a short visit, we will stop to have lunch in a typical restaurant enjoying the wonderful view above the Ionian coast from its terrace. Our day trip will end with the return and a quick visit of Messina in particular the panoramic point from where you will admire the beauty of the historical centre, the port and the mainland.